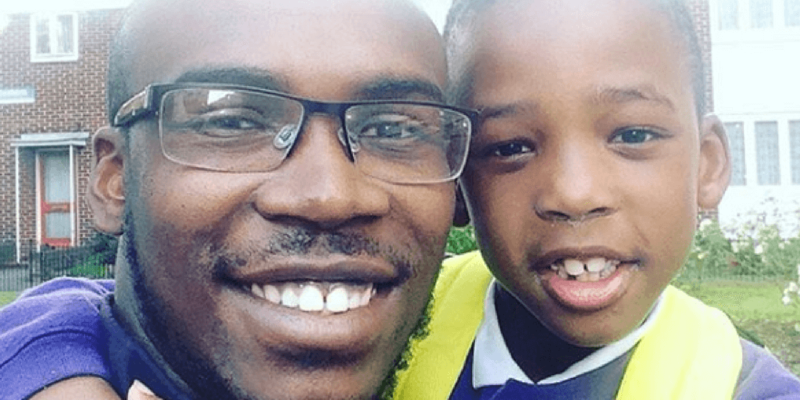 Young dad, Kevin, has spoken about his experience of becoming a single dad. I’m a single dad to my 6-year-old son. How I became a single dad? I went through the courts. It was a very challenging, draining and emotional process. At the time, my son was around 3, things became very difficult with his mother and the local authority social services got involved and there were concerns about my child’s needs. They were looking at where they wanted to place my son. I’ve always been very curious, I went and I found out that I had parental responsibilities and challenged the primary carers that I should be the primary carer for my son because I’ve always been in my son’s life you know and I’ve always wanted to play an important role in my son’s life. From then, that’s when things became a bit more challenging for me as the social services started to assess and look at my capability as a father. Which was a bit strange, I had to tell them that I can cook for my son. Which is a bit strange ‘cause I’ve been having him weekends when he was with his mum so – why would I have to tell you that I can cook for my son if I’ve been looking after him for weekends over a year? They said this doesn’t happen often with fathers so I had to actually prove myself, put things down in writing to say I cook and clean for my son and meet all these basic needs. As a father you shouldn’t have to do that you know, I’m sure mothers don’t have to do that. You don’t have to tell them that, they expect you to already know how to do those things. As things went forward, I had to go through psychiatric assessments where’d they’d watch me and my son you know to see how we interacted, which was very interesting because there were a lot of things I didn’t know, that I wasn’t aware of that I was doing and it came out that I was managing my emotions, my son’s emotions and the mother’s emotion all at the same time. It also highlighted I had a very strong bond with my son. When he was 3-4 he ended up living with maternal great grandma, as a looked after child while he was going through this whole court process. At the time, it didn’t really hit me, because in my mind my son was my niche you know and I just had my focus on my son, just trying to give him his best and support him as much as I could. I didn’t really feel the pressure, I didn’t really feel the challenges and at the time I was working as a fitness instructor/personal trainer in a corporate gym which was a formal way of releasing all that negative energy that I was going through which kind of helped me. When my son was 4, before he turned 5, I remember getting booked in to go to court for the final hearings. Firstly, you go through the PLO process, which is supposed to take 3 months and then you go through the court process which is supposed to take 6 months but it didn’t really happen like that. After the 3 months you had to wait a little bit for the court to take the case, which was very difficult for me at the time because I was highly concerned about my child’s emotional wellbeing. I could see the impact it had on him and I could see it was very challenging for him you know. No one took that into consideration or thought about that. I don’t know why. In the end, I was booked in for 5 days in court, it was a week’s trial. The first day in court, the judge made a decision within 4 hours and I was shocked, excited, confused at the same time because they’d booked us for a 5 days trial, I’d booked time off work and within 4 hours the decision was made.